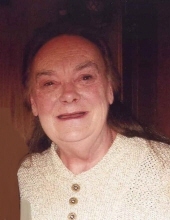 Linda L. Oman, age 66, of Tomahawk, WI, passed away unexpectedly on Sunday, February 3, 2019. Linda was born in Tomahawk on December 10, 1952, to the late Leland “Lee” and Betty (Hanlan) Oman. Linda was a graduate of Tomahawk High School. She was a homemaker for several years before working as a word processor. She later received her nursing assistant certification where she worked as a home health aide. Linda then worked as a teacher’s aide helping children with special needs. She looked forward to going on vacation each year and enjoyed reading books and bird watching. 2 Grandchildren, Harley and Samantha Jorgensen. Linda was preceded in death by her Parents, Lee and Betty; her Great-Grandfather, George Oman; and her Cousin, Erin Ernst. In accordance with her wishes, no formal services will be held. To send flowers or a remembrance gift to the family of Linda L. Oman, please visit our Tribute Store. "Email Address" would like to share the life celebration of Linda L. Oman. Click on the "link" to go to share a favorite memory or leave a condolence message for the family.